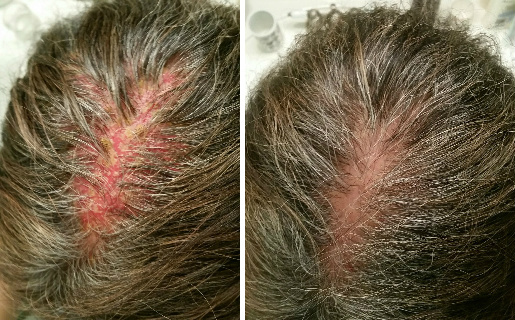 Scalp Psoriasis Needs Natural Care! 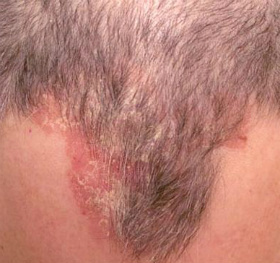 Scalp psoriasis can affect anyone at any age. More and more people are searching for natural remedies for psoriasis of the scalp. First know that scalp psoriasis is NOT contagious but it does tend to run in family members. It can appear on the scalp as red, itchy and scaly patches but it can also appear on the forehead, back of the neck and behind the ears. Like other forms of psoriasis, this condition is believed to result from an abnormality of the immune system that causes skin cells to grow too quickly and build up as patches. Further, it appears that psoriasis most often appears on multiple areas of the body and not just one. According to the National Psoriasis Foundation, at least half of those with psoriasis have it on their scalp. Scalp psoriasis can be especially exasperating as the thick scales pinch the skin and the extreme dryness causes severe itching that is very difficult to resist scratching while awake much less when asleep. Unfortunately most sufferers of this condition make matters worse during the sleep hours as involuntary scratching cannot be controlled. Further worsening the problem is hair loss resulting from the thick scales suffocating the follicles as well as the intense scratching. Now let's look at how we can help this disturbing condition. 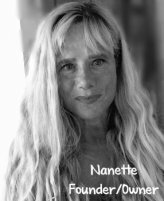 Can diet help this painful and frustrating condition? While there is no current scientific studies performed on this question, as a firm believer in maintaining a healthy life style I would most affirmatively encourage you to include plenty of fruits, vegetables, whole grains and fresh clean water in your daily diet. I also recommend reading the labels of the products you purchase for yourself and your family! Stay away from highly commercialized and highly advertised products with chemical filled ingredients. You should know that most of the commercial products that millions of people buy everyday, have a drastically higher pH than the pH of a healthy scalp. These harsh shampoos come in at a pH of around 8 which is devastating to your scalp and hair. It is believed that most scalp conditions such as dandruff, flaking scalp, itching scalp, scalp psoriasis and scalp eczema are caused by a fungus that grows on the scalp. Normally this fungus is kept in check as long as the proper pH of the scalp is maintained in a range of between 4.5 and 5.5. So when your scalp's pH is disturbed or destroyed, that's when serious problems can erupt. A natural shampoo doesn't disturb the natural PH of the hair & scalp like most commercial shampoos do. It soothes and hydrates the scalp for long lasting relief and health. 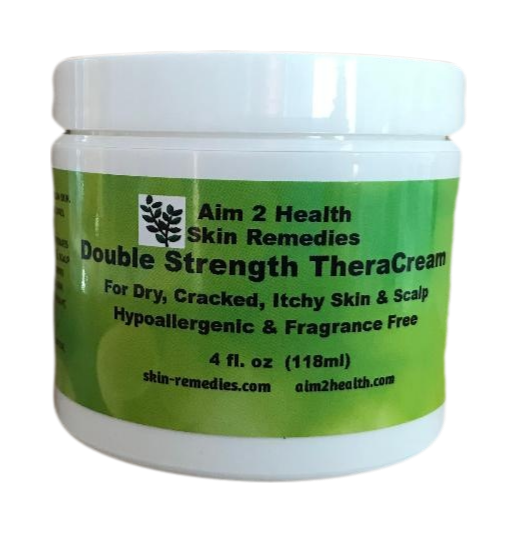 For Severe Dry Scalp Conditions: At night before bedtime, rub our specially formulated therapeutic double strength cream into the parts of the scalp affected. A double strength formula penetrates the thicker skin of the scalp deeper and faster. Allow to absorb overnight into the 7 layers of scalp tissue and wash your hair in the morning with pH balanced Herbal Shampoo Treatment. Repeat as necessary until the problem is gone. 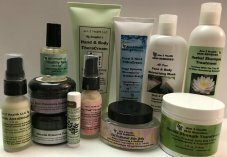 Below you will find links to the natural products I recommend that, in my professional opinion, work BEST for scalp psoriasis symptoms.